Lottery fans are in for a real treat this week. On Friday, 3 October a special EuroMillions Superdraw will be featured, offering a fixed jackpot of €100,000,000 with additional secondary prizes available to anyone participating in the special event. Normally held to celebrate an anniversary or occasion of an exceptionally high profile, these Superdraws can actually be offered at any time. The first Superdraw was held in 2007 with several additional draws following its inception. The game will be operated using the same standard rules as regular draws with the only significant difference being the size of the guaranteed jackpot on offer. Should no one win the jackpot during the initial draw, the amount will roll over and be offered on the following draw. If no winner claims the top prize, then the daw amount will continue to roll over until the jackpot cap is reached. The Jackpot cap is currently valued at €190 million and is the maximum jackpot prize that can be won in a EuroMillions Lotto draw. The draw will take place as usual in Paris, France with results being published online after the draw around 11pm local time. Superdraws are not to be confused with Event draws. With Event draws, when a jackpot prize goes unclaimed the prize does not roll over to the next drawing, but in fact will be divided among the winners from the next lowest tier, i.e. those with cards matching 5 numbers + 1 lucky star number. EuroMillions Superdraws are funded by a special endowment from the EuroMillions Booster Fund, which sets aside a percentage of each Common Prize Fund from each regular EuroMillions draw. The funds are then offered as Superdraw events at special times throughout the year. If you are new to the game getting started is easy. First, you’ll need to complete a EuroMillions playslip with the numbers you want to play and the amount of draws in which you wish to participate. Between three and five lines can be played per transaction using your own chosen numbers or the ‘quick pick’ feature to randomly generate numbers. If you wish to enter more than one draw special discounts can be claimed. Up to 52 draws can be purchased in advance. If purchasing tickets online you’ll need to fill in the relevant details and then pay for your tickets through the secure cashier at your lotto ticket retailer. To win you’ll need to match all seven numbers, the five standard picks along with the two lucky star numbers. If more than one player picks the seven winning numbers the grand prize will be split. If no winner emerges to claim the prize it will carry over with an increased jackpot for the next draw. Two EuroMillions Superdraws have already been won in 2014. 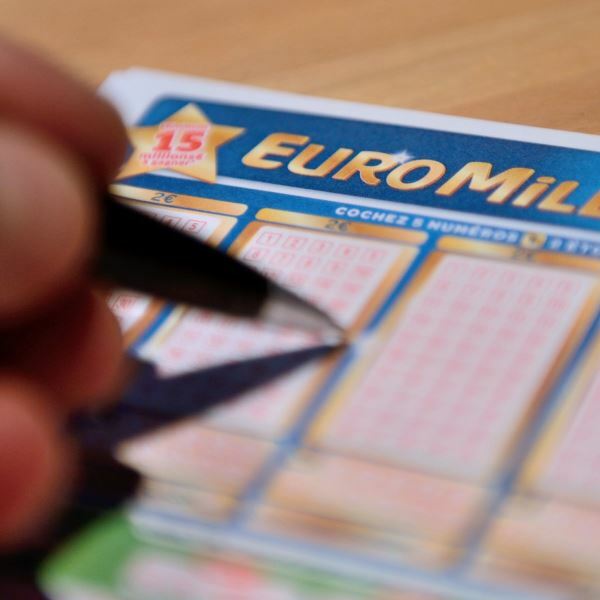 The first was won in March, awarding one lucky winner from the UK with €107 million. The second and most recent win was claimed in June. This was however a unique situation in that the jackpot amount prior to the Superdraw was for the first time substantially larger, coming in at €137 million. The Spanish ticket holder claimed their prize on Friday the 13th, making the notoriously unlucky day a winner for one player. The Superdraw worth €100,000,000 will be taking place this Friday, October 3. You can purchase tickets online from licensed retailers and remember, you can’t win if you don’t enter. So, purchase your tickets before the draw closes and ensure your numbers are in the drawing for a €100 million jackpot.